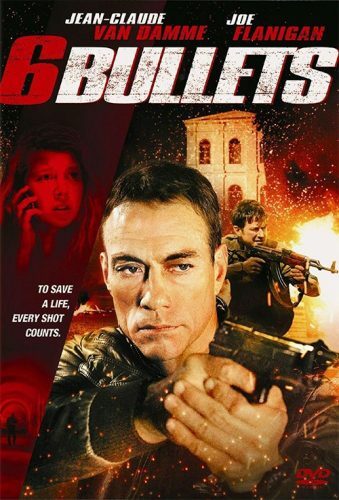 Trailer for Six Bullets hits the net, Starring Jean-Claude Van Damme, Kristopher Van Varenberg, Bianca Bree, Joe Flanigan and Anna-Louise Plowman. Plot: Veteran mercenary Samson Gaul (Jean-Claude Van Damme) knows that in the heat of battle, every bullet counts. He retired from combat when his actions resulted in the deaths of helpless victims, but now he’s the last hope for a desperate father. Mixed Martial Artist, Andrew Fayden (Joe Flanigan) knows how to fight, but alone he’s unprepared to navigate the corrupt streets of a foreign city to find his kidnapped daughter. Together, these warriors will stop at nothing to tear apart a vile network of criminals that preys upon the innocent.